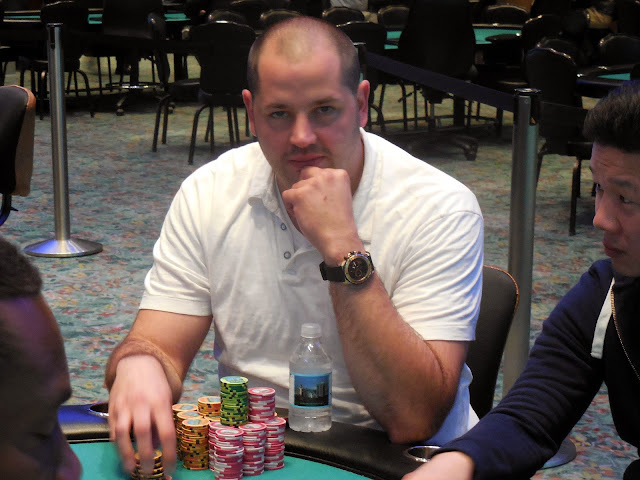 Greg Zara moved all in and Michael made the call, and it was a 60/40 with Michael's [Ah][5h] against Greg's [Jh][9c]. 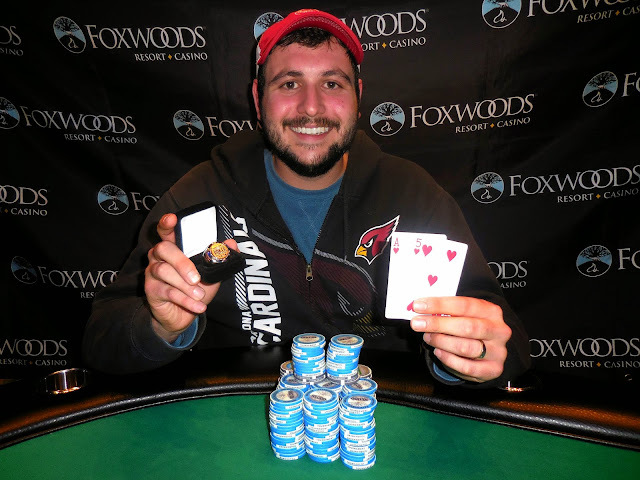 The [Jc][Th][2c] flop gave Greg top pair, but the [Ac] turn turned the tables. Michael made top pair but would need to dodge a jack, a nine, or a club on the river. The [7s] river was just what Michael was looking for, as his top pair held up. 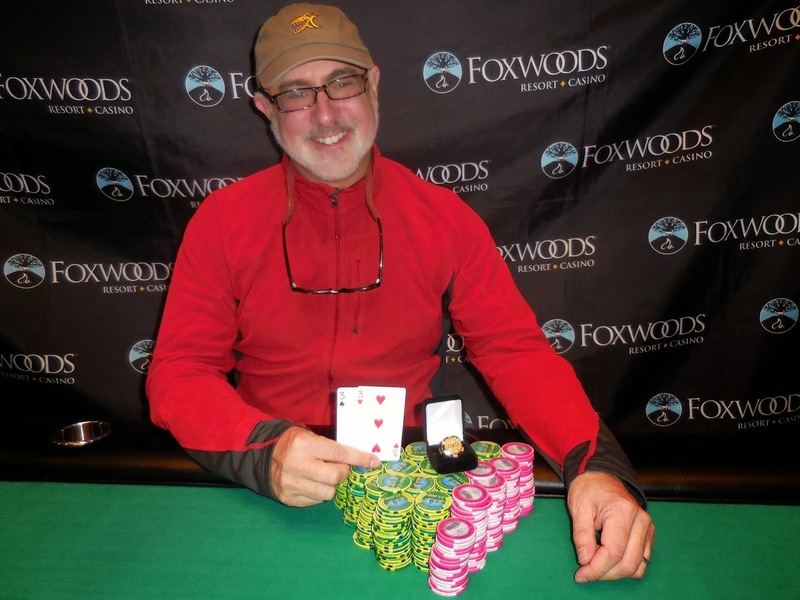 Michael will win Event #12 $365 Turbo NLH for $14,452, along with the World Series of Poker Circuit ring. Congratulations, Michael! From the small blind, Paul Mattioda moved all in with [Ac][Th] and was called by Michael Bratovich in the big blind holding [Ad][8h]. It was a bit of a cooler, but it turned into a bad beat as the flop fell [6d][8c][6h]. Paul would need to catch a ten or running sixes to survive. The [Qc] turn changed nothing, and the [Qh] river sealed the deal. Paul would have to settle for 3rd place, collecting $6,428 for his efforts. 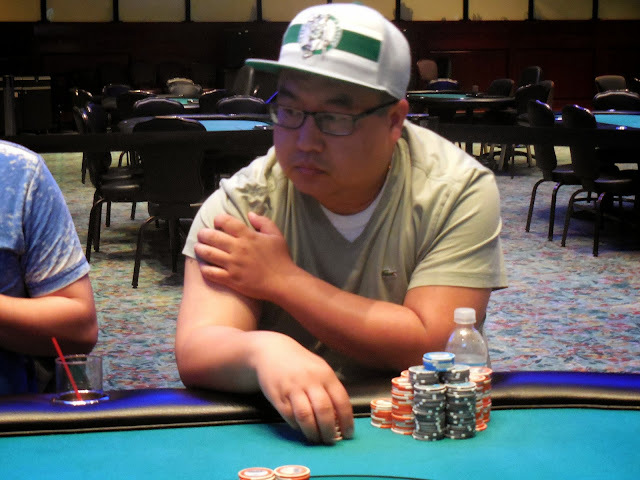 Soukha Kachittavong was all in holding [Qd][6d] and was up against the [Ad][9c] of Greg Zara. The [9d][6h][Ts] flop gave Soukha a few more outs to survive, and he hit one of them on the [Qc]. Soukha would need to dodge an ace or a nine on the river, but the [9s] spiked to knock Soukha out in 4th place. He will collect $4,710 for his efforts. 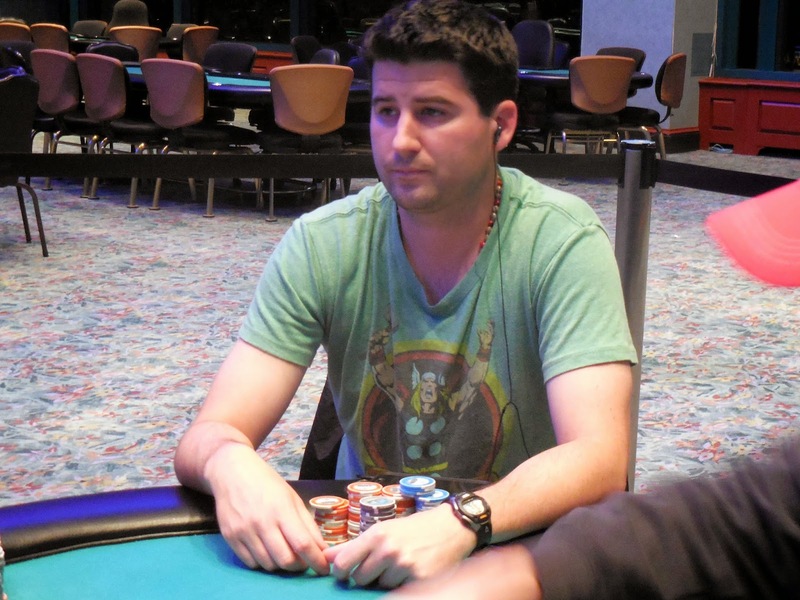 On a [2d][3h][Jh] flop, Ryan DeCarvalho check-raised all in and Michael Bratovich made the call. Ryan's [Jc][Tc] was in bad shape against Michael's [Ah][Ad], and he would need to make two pair to survive. The [Qs] turn was no help, and neither was the [4d] river. The stacks were counted down, and it was discovered that Michael had Ryan covered. Ryan will be our 5th place finisher and will collect $3,517 for his efforts. 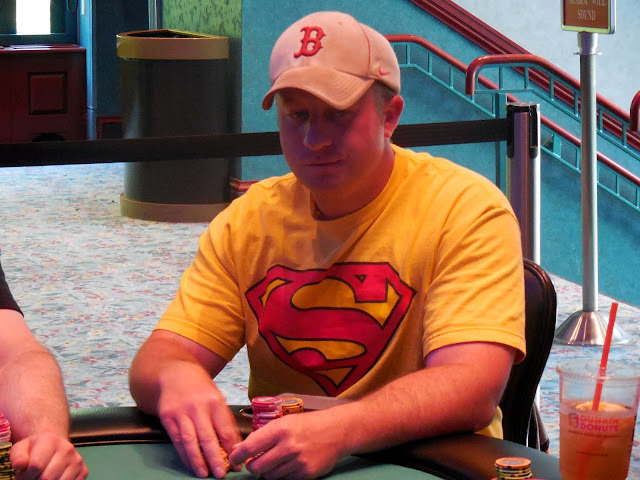 From the small blind, Kenneth Christopher shoved the last of his stack in with [Th][7h] and Paul Mattioda made the call from the big blind holding [Ah][Jd]. The [6s][Qh][9s] flop gave Kenneth a gutshot, and the [Js] gave him an open ended straight draw. But the [3h] river couldn't save Kenneth, who will be eliminated in 6th place. He will collect $2,665 for his efforts. The unofficial final table has been reached in Event #11 $365 Turbo NLH, and it's an exciting one. Casino Champion Brad St. Vincent has made the table, along with two players who have just earned enough points to qualify for the National Championship: Kenneth Christopher and Michael Bratovich. 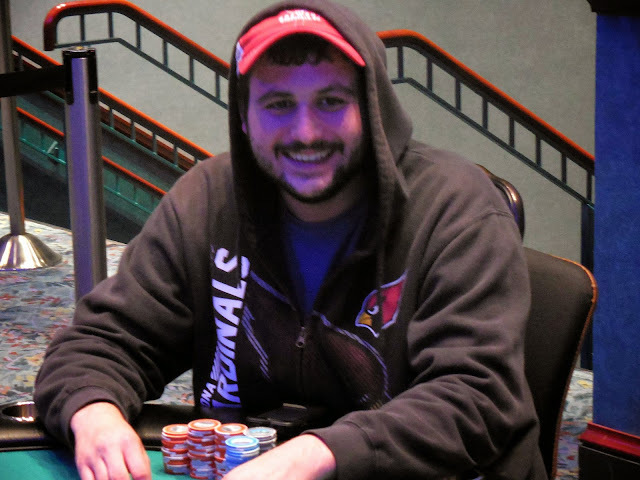 Along with those three, Paul Mattioda has also made the final table, and he qualified for the National Championship during this series. 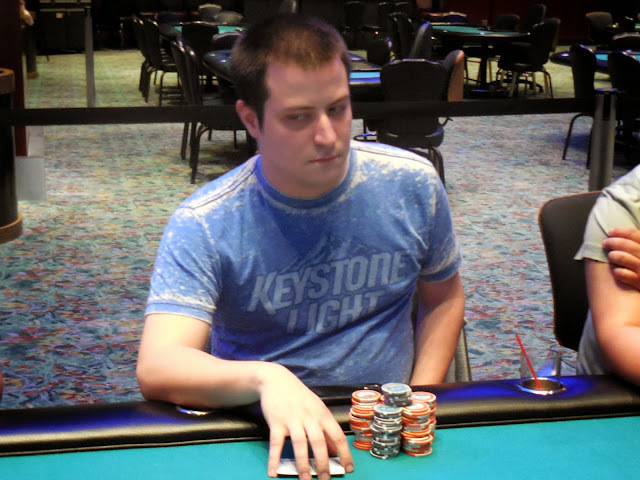 Michael Thibeau was all in with [Ac][Qd] against David Kluchman's [3s][3h]. It was a big coin flip, and Michael picked up a lot of outs on the [Jc][Kd][Js] flop. The [9s] turn meant Michael now had sixteen outs going to the river. But the [7h] river was not one of them, and David's pocket threes held up to win the tournament. Michael will exit this tournament in 2nd place, good for $76,883, while David will win the Main Event for $124,370. 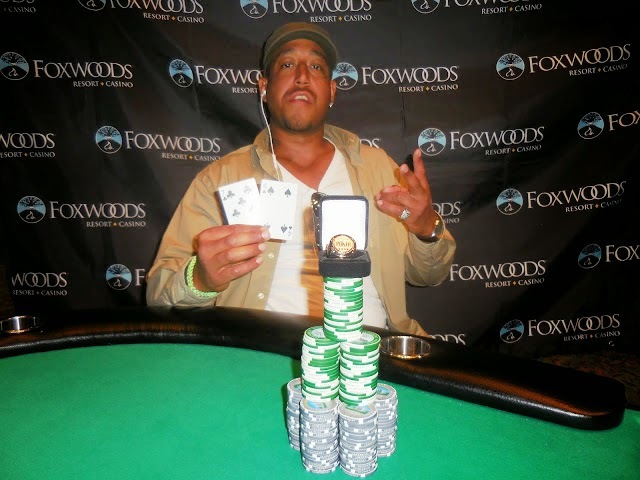 Along with the prize money, David wins the World Series of Poker Circuit ring and a seat in the National Championship. Congratulations, David! "Blackjack" was all in on a [2s][4d][5d] holding [8s][8c] but was outflopped by David Kluchman's [Ah][3h]. The turn hit the [6d], giving "Blackjack" outs to a bigger straight, but the [2c] hit the river to eliminate "Blackjack" in 3rd place. He will collect $56,531 for his efforts. Spencer Champlin was all in preflop holding [Ah][Th] and was dominated by David Kluchman's [Ad][Qs]. Spencer failed to find a ten on the [5d][7c][As][2s][8d] board, and he will be eliminated in 4th place. Spencer will collect $41,777 for his efforts. 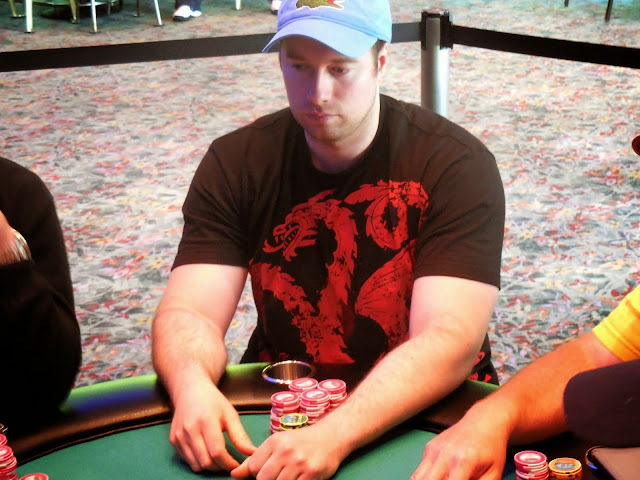 Greg Himmelbrand was all in holding [Qd][5d] and was up against David Kluchman's [9h][9d]. The [4s][4d][2d] flop gave Greg a flush draw, and the [3h] on the turn gave him an open ended flush draw to go along with it. 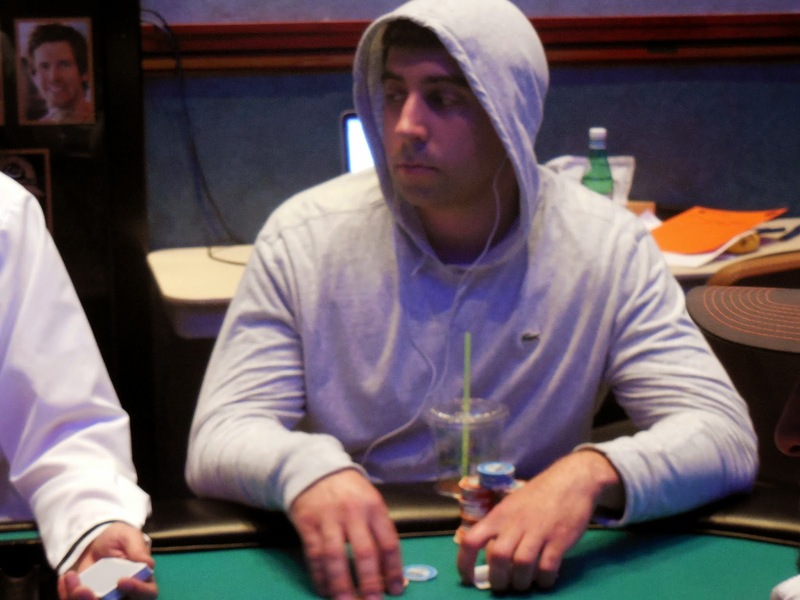 But the river was the [9s] to miss all of his draws, eliminating Greg in 5th place for $31,431. 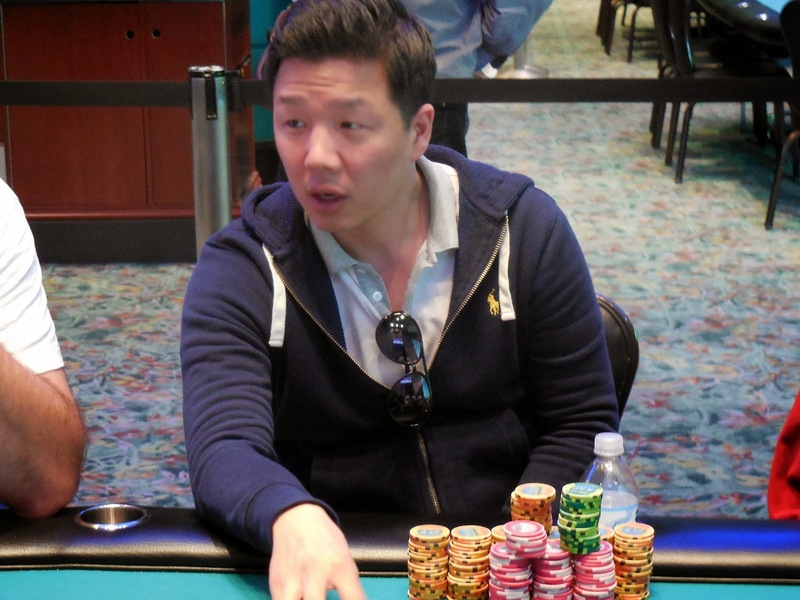 With "Blackjack" holding only a handful of big blinds, Seunghwan Lee raised and David Kluchman reraised. Seunghwan made the call and the two saw a [4d][9s][5h] flop. Seunghwan check called a 500,000 bet from David, and then jammed on the [Jh] turn. David made the call and tabled [Ks][Kd], ahead of Seunghwan's [Ah][Js]. Seunghwan would need to catch a five-outer to survive, but the dealer brought the [6c] river instead. Seunghwan will exit this tournament in 6th place, good for $24,026. David Grandieri was all in holding [Kh][Jc] and ran into Spencer Champlin's [Ks][Kc] in the big blind. David could not find a miracle on the [8c][9d][9c][As][Qs] board, and he will exit this tournament in 7th place. David will collect $18,656 for his efforts. 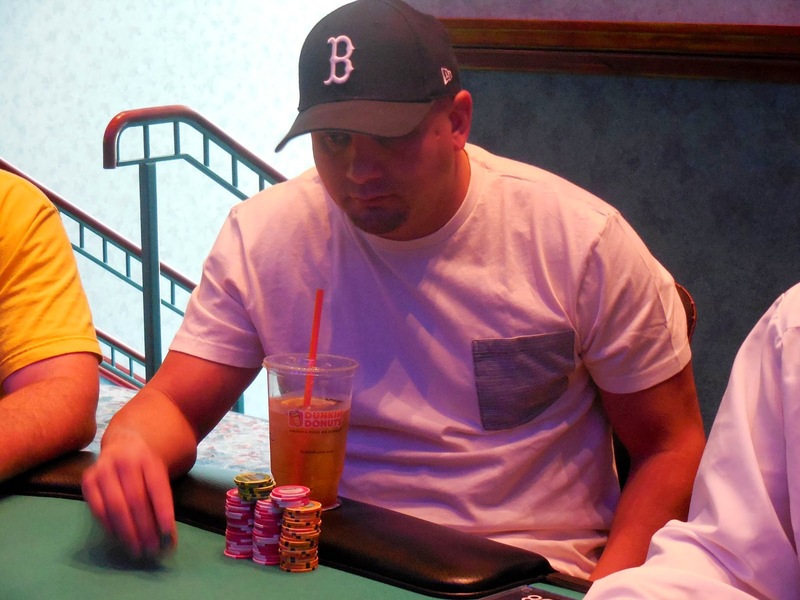 John Lyons was all in preflop holding [Qh][7c] and was up against the [Qd][5d] of Spencer Champlin. The [2d][9h][Th] flop was safe for John, but the [5c] turn was disaster for him. Needing a seven on the river, it fell [Ah] instead to give Spencer the winning hand. 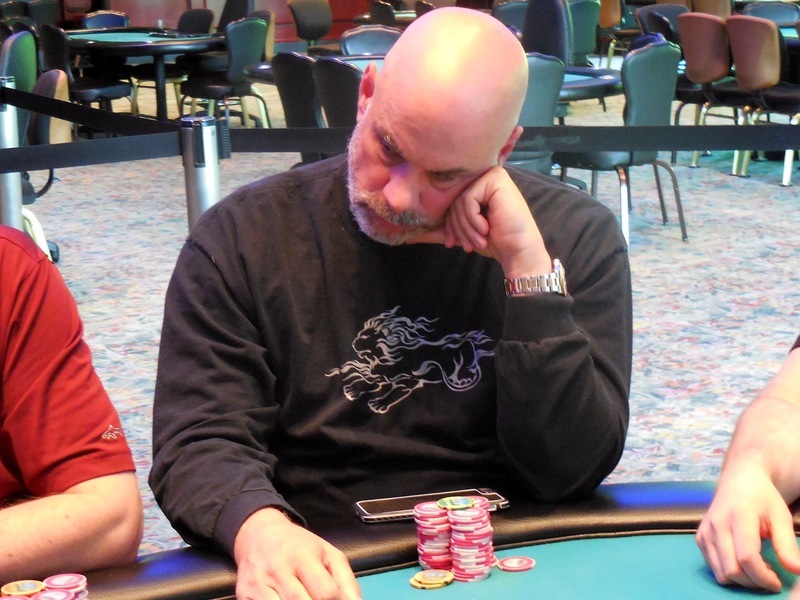 John will exit this tournament in 8th place, good for $14,698. 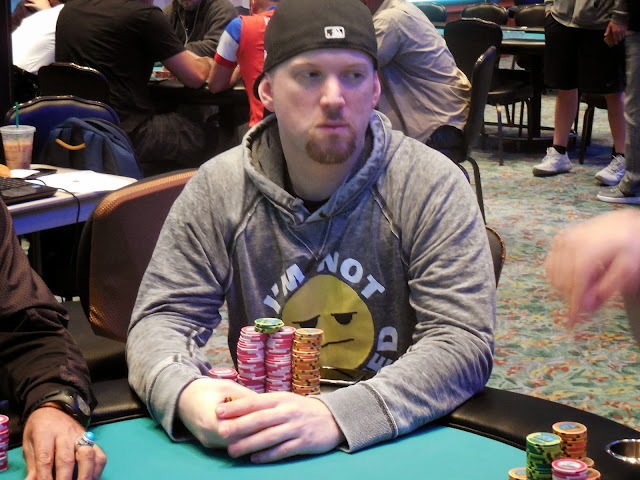 At 12,000/24,000 blinds with a 4,00 ante, Greg Himmelbrand opened from early position to 50,000 before Will "The Thrill" Failla moved all in next to act. Action folded back around to Greg, who asked for a count. It was 133,000 more to call, and that's exactly what Greg did. Greg's ace-nine was dominated by Will's ace-king, but a nine on the turn send Will packing. 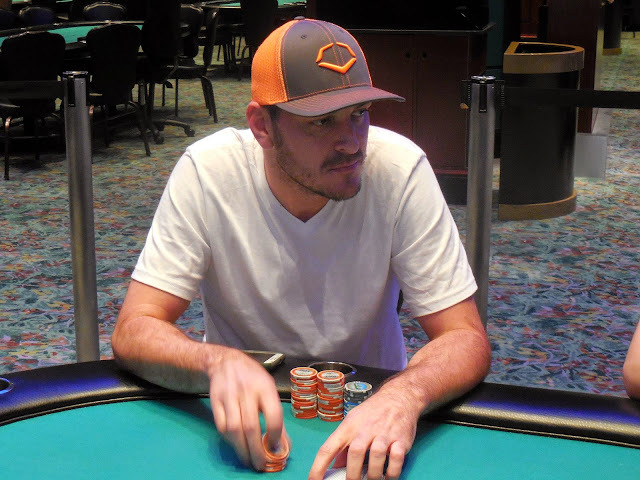 Will will earn $9,497 for his 10th place finish in Event #10. Registration & Re-entries will be available through the end of the 6th level (approximately 1:10pm). Ten players remain. David Kluchman leads with 2,324,000. Levels will be 75 minutes on Day 3. Eight players remain. 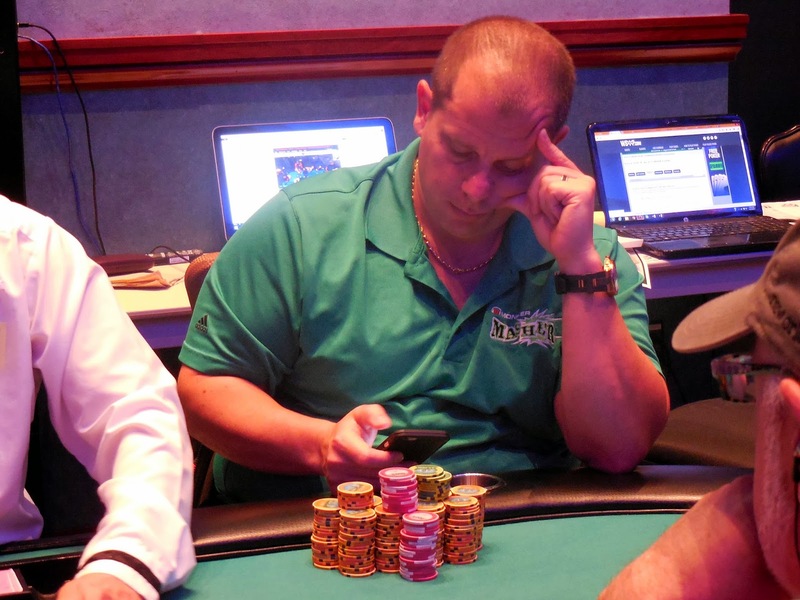 Richard Horvath leads with 712,000. Players start with 15,000 in non-value tournament chips.